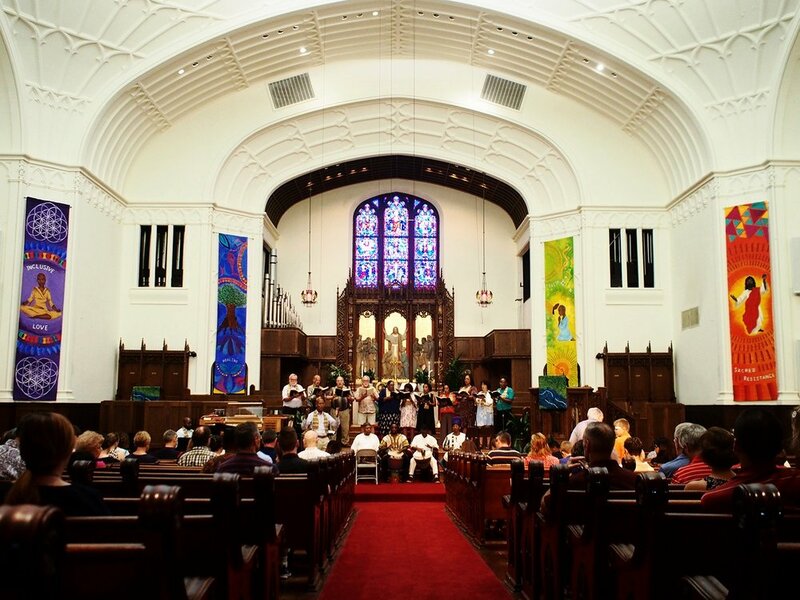 Foundry United Methodist Church has a long and textured history of building sacred community in Dupont Circle. As the neighborhood grows increasingly diverse, and with it the church, Foundry is committed to nurturing a worship space that welcomes and celebrates the many people, stories, and experiences that now sit in its pews. One of the most powerful ways to express this solidarity is through the tapestries that hang in its sanctuary. 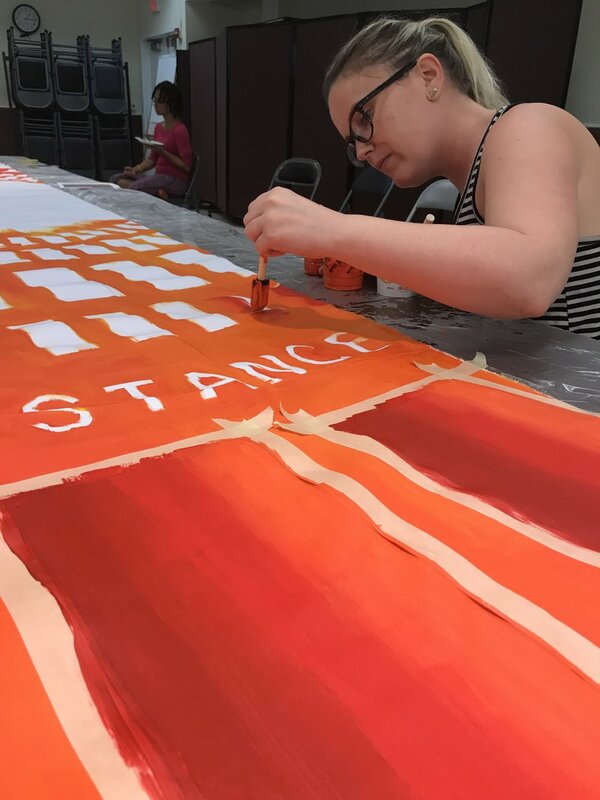 The Sanctuaries, led by teaching artist Aliana Grace Bailey, partnered with Foundry to facilitate a 6-month artmaking process that mobilized leaders, artists, and activists within the Foundry community to collectively design four new banners that illustrate the church's core values using culturally diverse imagery. Through educational workshops, one-on-one conversations, and community-wide artmaking, participants gained the knowledge, tools, and frameworks they need to infuse other spaces, programs, and actions with spiritually-grounded and socially-engaged art in the future.